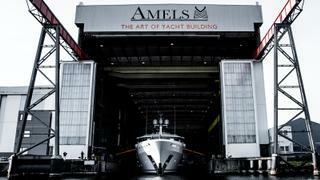 The first Amels 220 superyacht previously known as Project Waka has departed the shed named Aurora Borealis. 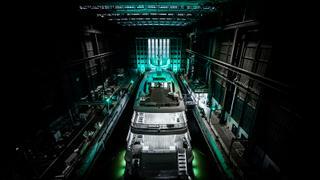 The 67.1 metre yacht is now being readied for sea trials before her summer delivery. 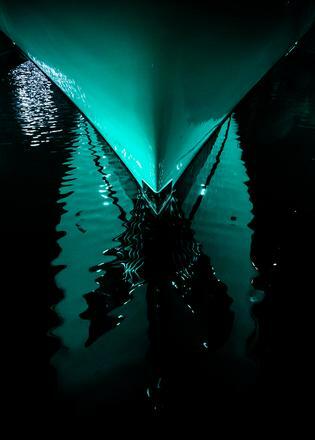 It comes after the yacht was launched for the first time on March 16 inside the yard's covered dry docks. The event was attended by the Amels project team along with the owner’s team, including the captain Paul Bickley and Fraser sales broker Antoine Larricq, who acted as the owner’s representative during the build. Mr Larricq also has her listed for sale. Exterior design comes courtesy of British designer Tim Heywood and builds on the design of the Amels 212. 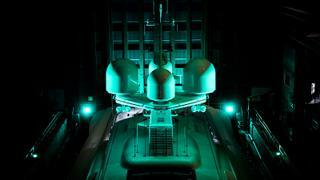 However, the Amels 220 features elongated decks and a 65 square metre swim platform and beach club. The custom interior design, meanwhile, has been created by Winch Design. Accommodation is for a total of 14 guests in seven suites, comprising a master suite forward on the main deck, two VIP suites on the bridge deck and four convertible twins/doubles on the lower deck.